Card games like rummy, flash, etc. 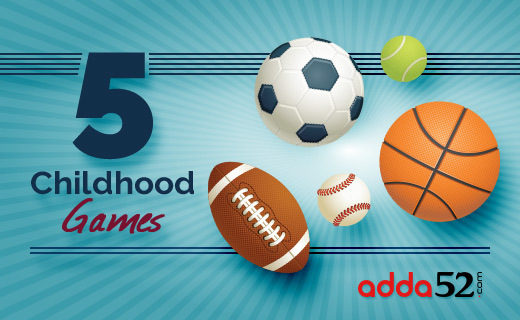 have always been the most time-honored indoor game for kids across India. Whether it’s Diwali or Christmas, these games are still preferred, not only by teenagers but also by elders, during the festive season. With the advent of digital gaming, card games are available to play online and are popular among the youth. The best part about card games like rummy and poker is that they have been legally declared as skill games as they involve skills like mental dexterity, mathematics, logical reasoning, etc which helps in overall development of the kids. Moreover, children now have a choice to pursue a career in card games like rummy and poker. You can play poker online and win your way to earning a living. Board games like Chess help in developing and sharpening brain as the game involves different areas of the brain which keeps the mind engaged all the time. This is the game which every child loves to play because they get to learn the significance of foresight and how to plan facets of the game and life. It is a game if taught to children, can turn out as their career preference in the future. Being the most famous outdoor sports, Badminton is the game that fascinates kids and is always a part of their memories. It is a game that helps in overall development of the child as it involves physical activity – from running to jumping, from bending to stretching and from lunging to hitting movements. Over the years, a child can excel in it, and seek it as a serious career because the game is highly organized, and one can find badminton leagues and tournaments running at a state level, national level and international level. Swimming is that game that every child can groove on for lifetime, and the best part about this game is that it comes with a safety skill. If children are taught swimming at an early age, it minimizes the risk of drowning. It is the power and strength involved in the game that motivates children to choose swimming as their career. Gymnastics is a sport that kids start as early as age two. Nowadays, there are special gymnastics for toddlers where a child’s coordination, balance, and motor skills are developed. And if a child continues doing gymnastics, he/she gets trained in strength, flexibility, endurance, and artistry which is a pre-requisite to excel in this sport. This can further benefit children to be a part of competition squad when they choose gymnastics as their future.